Internet privacy and freedom at blazing speeds. We evaluated several VPNs, and it became clear that VyprVPN is the best service on the market. Without a VPN, your IP address, location, browsing activity and online communications are at risk. A VPN app encrypts your Internet connection to secure it when using public Wi-Fi and other networks. Protect your online privacy from hackers, snoops and governmental surveillance whether you're browsing the Internet at home or on the go. VyprVPN allows you to change your IP address and appear local to any of our 70+ worldwide server locations. This is invaluable when travelling in countries that impose Internet censorship, as well as in schools or workplaces that impart restrictions. Buy a VPN to bypass blocked websites and content and maintain access to an unrestricted Internet. When streaming content without a fast VPN, your ISP and streaming service can monitor your activity and throttle your Internet connection. When using a VPN, your provider sees only encrypted traffic and is unable to slow you down based on what you're doing. Bypass location-based blocks and access global media, as well as increase privacy while streaming. 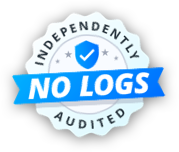 Unlike our competitors, we operate 100% without third parties, own our hardware and run our network. Because we own and manage 700+ servers in 70+ global locations, when using VyprVPN your privacy is protected from end-to-end at the fastest speed possible. 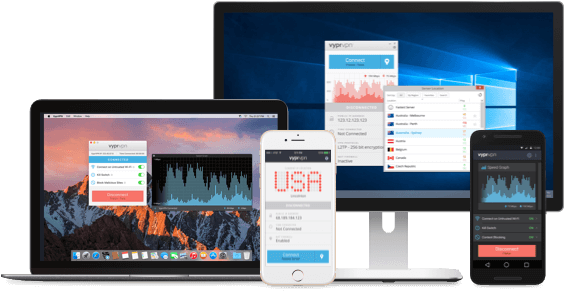 VyprVPN is a secure VPN that allows you to bypass restrictions imposed on sites and content to access a free and open Internet. Our proprietary Chameleon™ VPN technology defeats VPN-blocking, allowing anyone using the VPN apps to defeat censorship from any location in the world. Protect your Internet connection across mobile devices with a VPN for iOS or VPN for Android. The VyprVPN app offers a variety of easy-to-configure, automatic features, ensuring your connection remains encrypted at all times. We also offer a secure VPN download for VPN for Windows and VPN for Mac, so you can protect your online privacy across all devices today! Golden Frog was founded in response to surveillance practices in the United States, when major broadband provider AT&T was helping the government (NSA) spy on its users in the now infamous Room 641A in San Francisco. Instead of waiting for the government to protect Internet users, we wanted to provide people around the world with tools to take control of their online experience, and achieve a private, secure and open Internet. Our founders are Internet veterans who started their first business, Texas.net, at the dawn of the public Internet in 1994. They went on to found Giganews (leading usenet provider), Data Foundry (data center colocation and managed services) and Golden Frog. Golden Frog GmbH is incorporated in Switzerland, due to favorable privacy laws consistent with our mission.